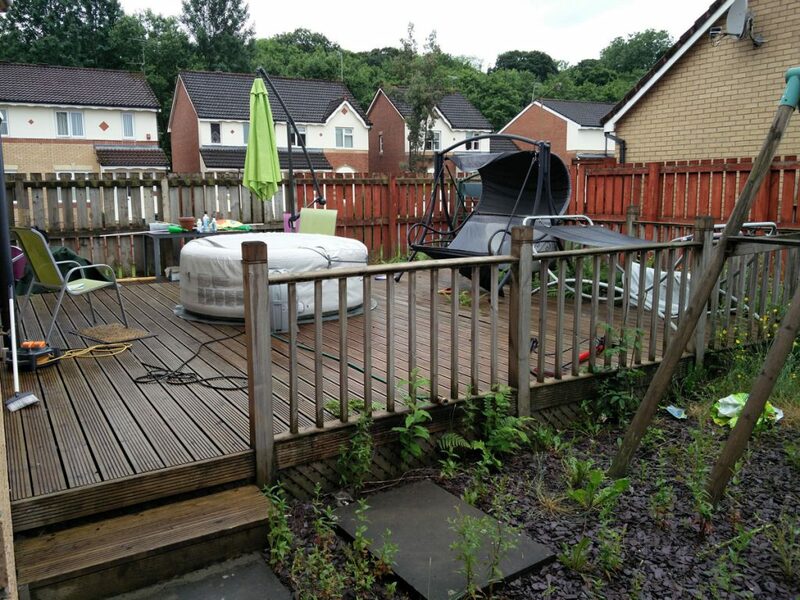 Our clients’ garden in Stirling suffered from being damp and had become overgrown with weeds. 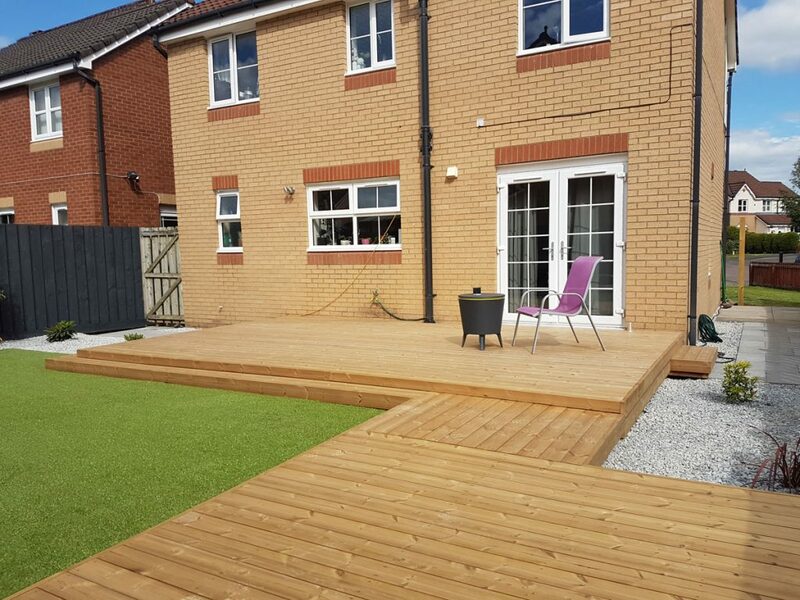 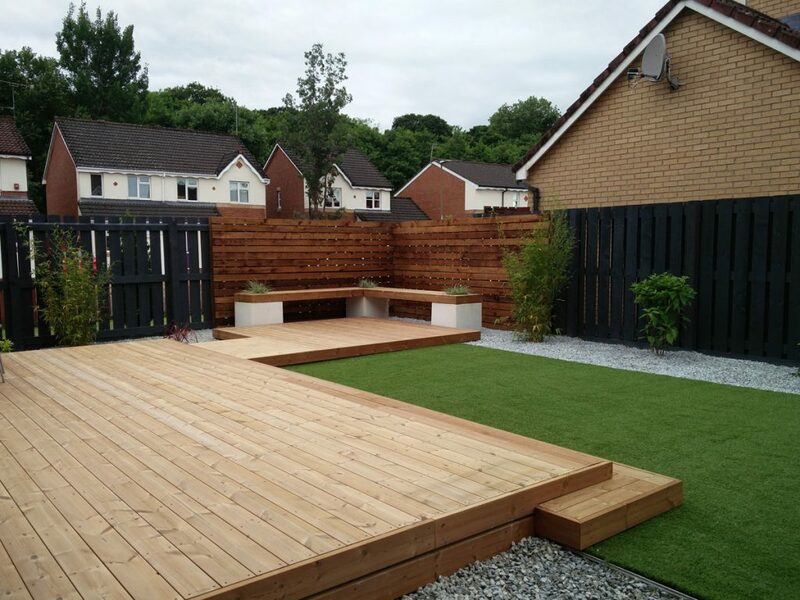 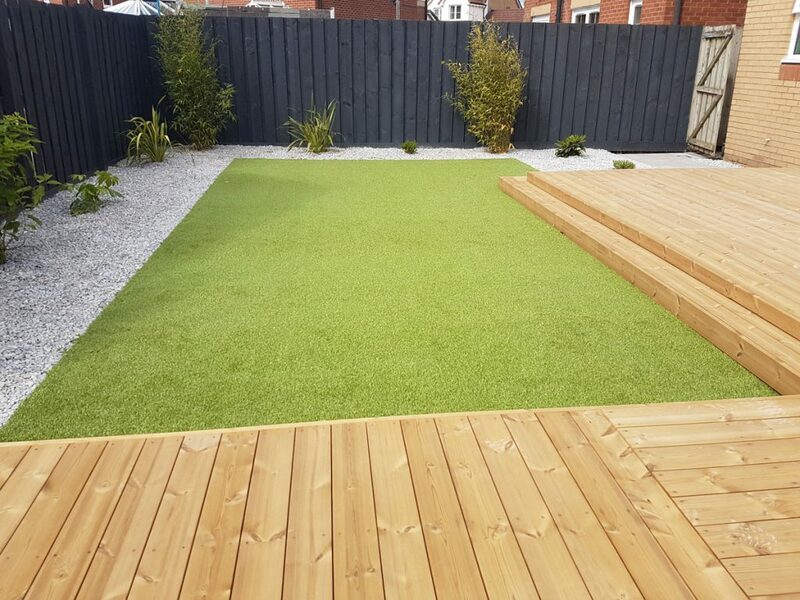 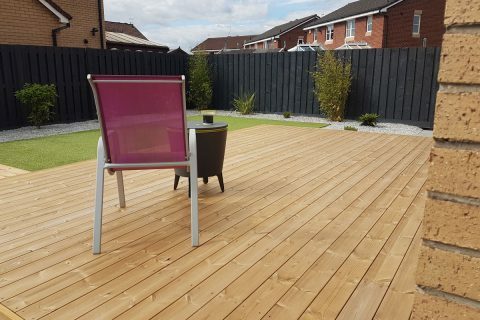 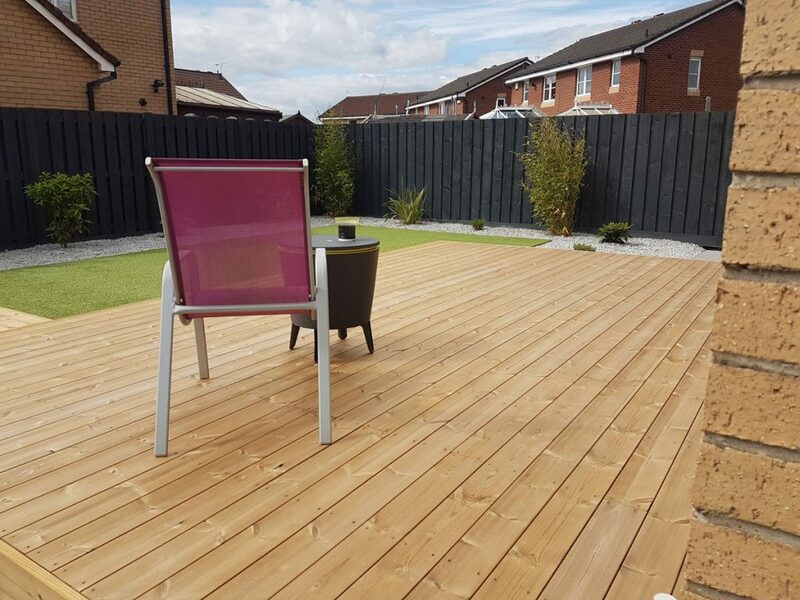 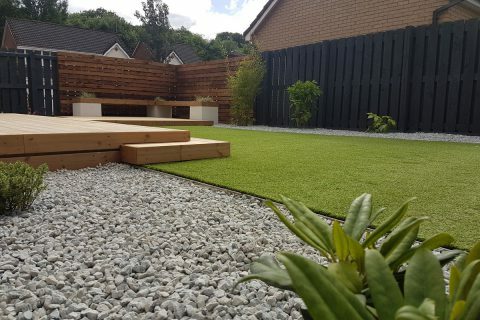 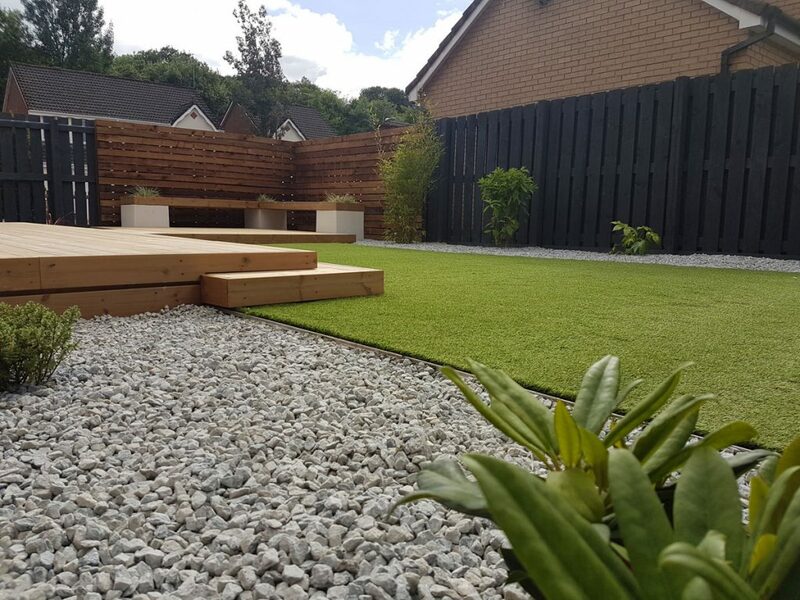 The old decking needed to be replaced, old children’s play equipment removed and the garden required a thoroughly modern makeover to make it fully usable again whilst being low maintenance. 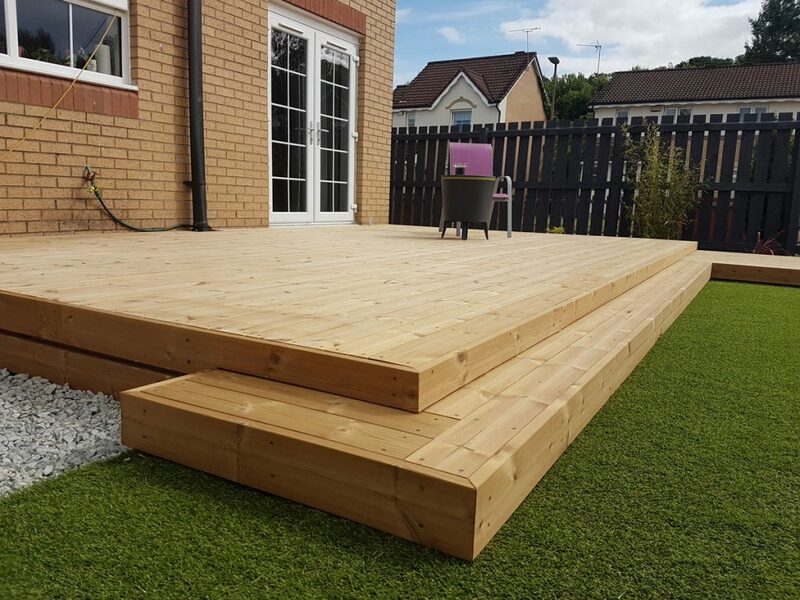 The client was keen to keep decking and wanted a large main deck to accommodate the hot tub. 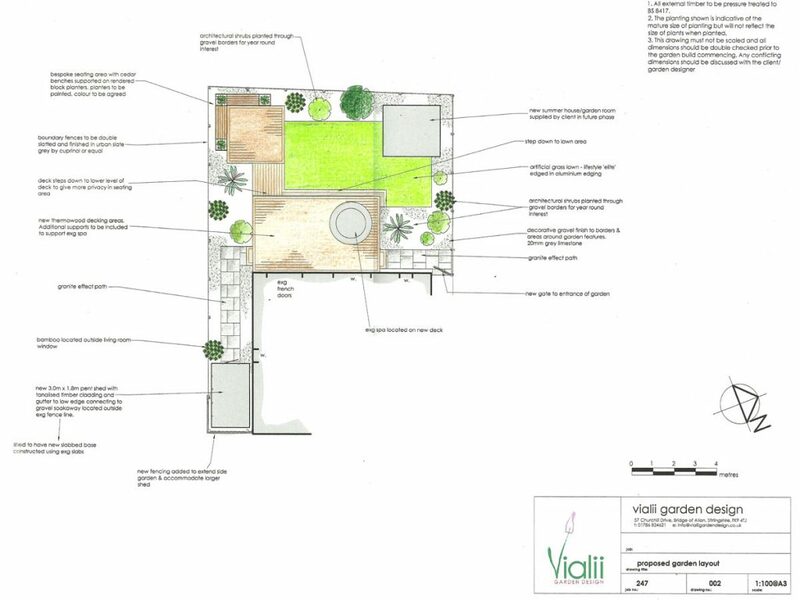 Keeping the garden low maintenance was important and having the flexibility to add a garden room was a consideration for the future. 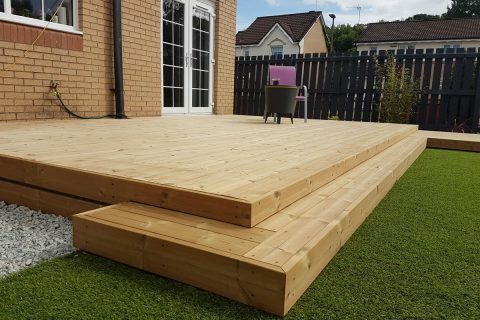 The new decks were created on two levels. 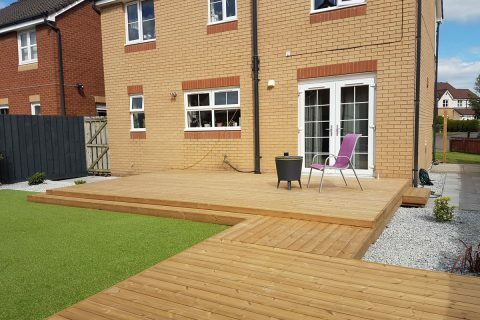 The main deck is level with the house. 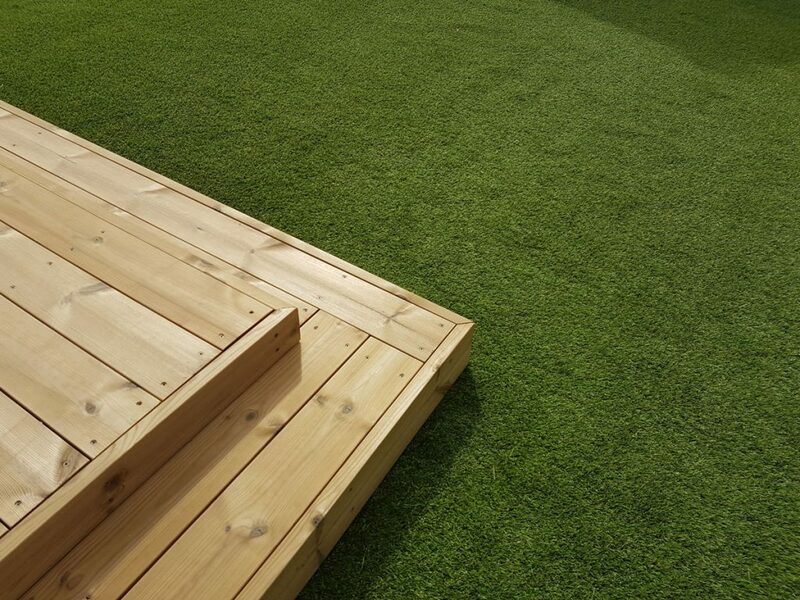 You can then step down to a lower deck which is a more intimate space. 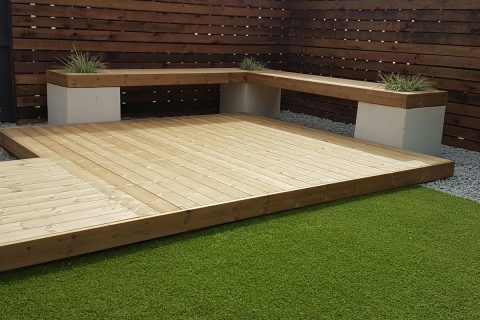 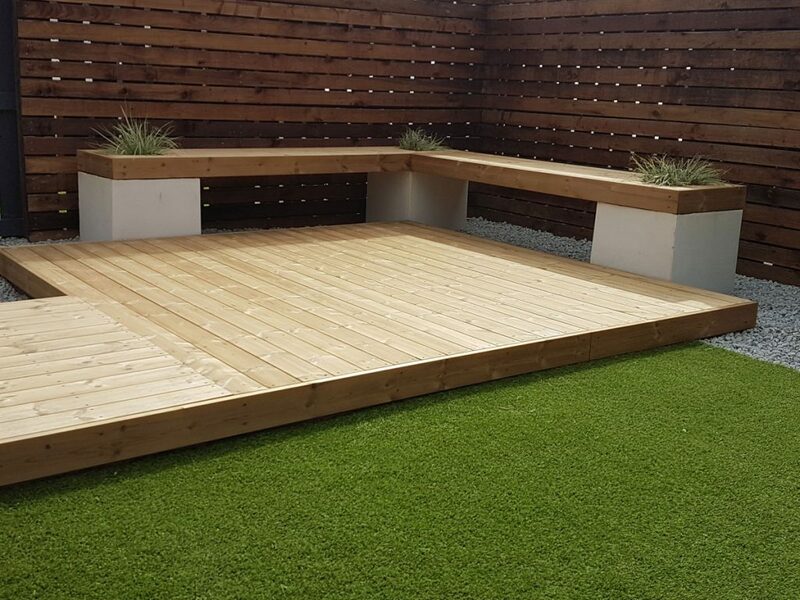 With in-built seating and horizontal fence slats this corner has it’s own feel and is the perfect space for a fire-pit and some drinks in the evening. 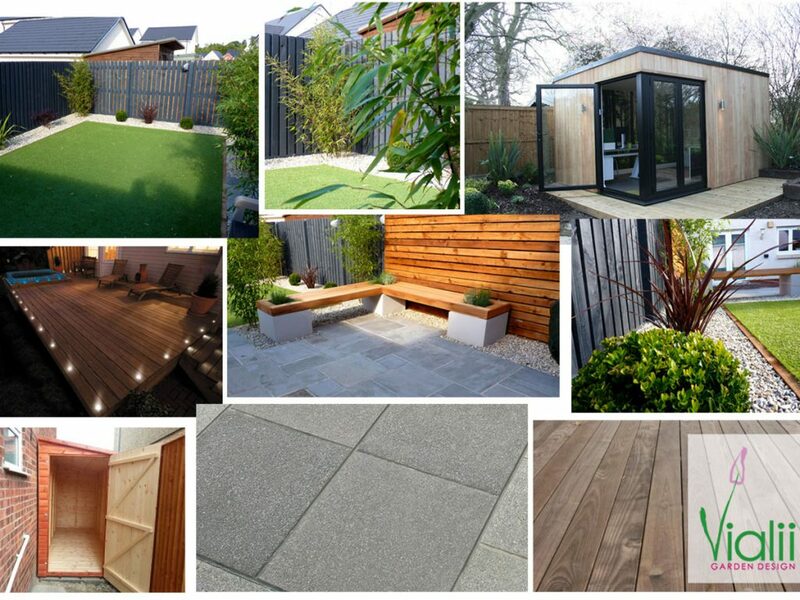 Some contemporary paving leads you to the side gates providing access to the sides of the house and the new garden shed. 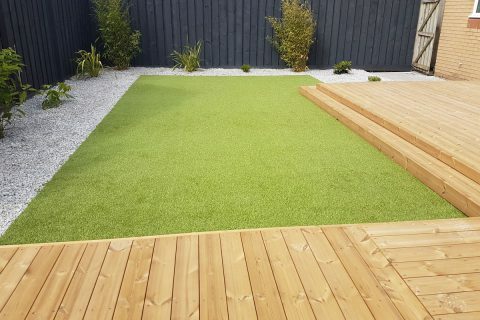 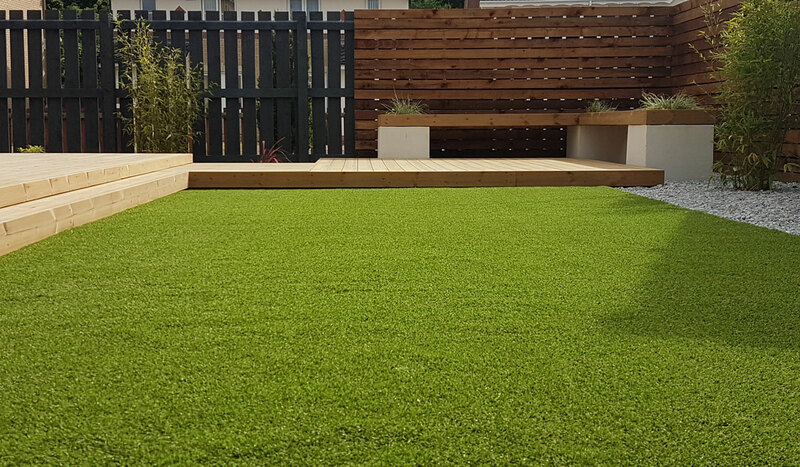 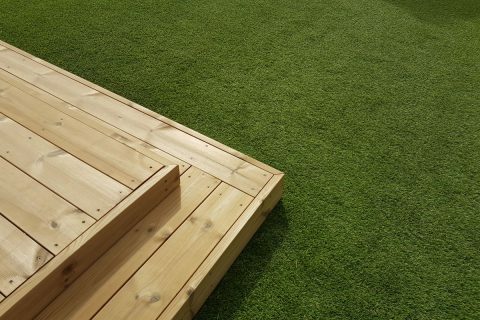 A wonderful new lawn of artificial grass provides the perfect green backdrop all year round with zero effort. 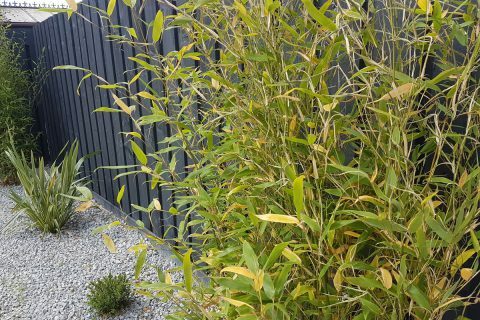 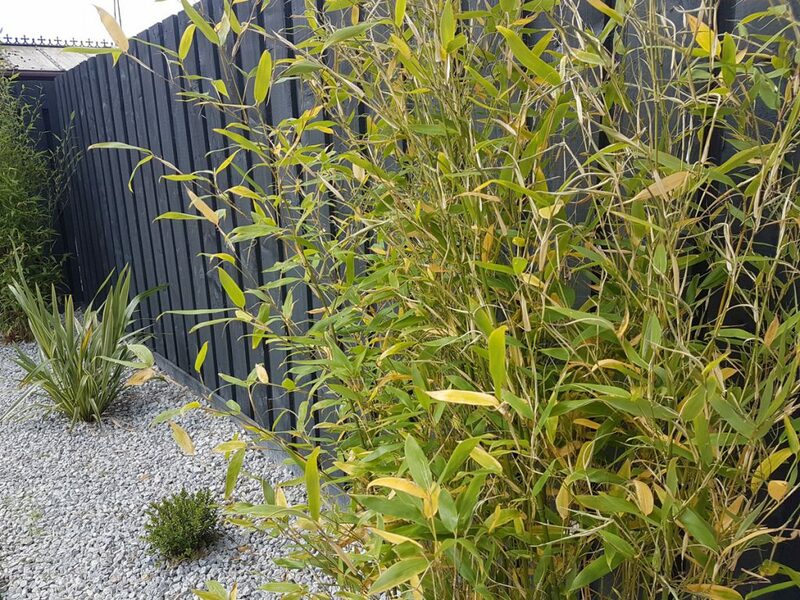 Some low maintenance planting in gravel creates a modern feel and is off-set perfectly by the slate grey fencing.